A Florida restaurant owner figured out a way to respond to national anthem protests in the NFL in a way that helps those whom the anthem honors, according to WTVT-TV. The owners of Beef O’Brady’s restaurant in Brooksville are pulling their financial support of the league by cancelling the premium NFL television package, and they’re using the savings to benefit veterans. “This is what we are doing, this is the stance we take, and the money we would’ve spent, we are going to spend on our vets,” said Curtis West, who owns the restaurant with his wife, Janet. The Brooksville Beef O’Brady’s, like many restaurants, typically subscribes to a premium television service to get all the NFL games every Sunday. The Wests subscribed to the NFL Sunday Ticket Package through DIRECTV. This year, because of the national anthem protests the league has allowed, the restaurant is cancelling that package and giving a 40 percent discount to veterans on Sundays during the NFL season. “Beef O’Brady’s will not be financially supporting the NFL this year due to their lack of compassion and gratitude for our American service members,” a poster in the restaurant reads. 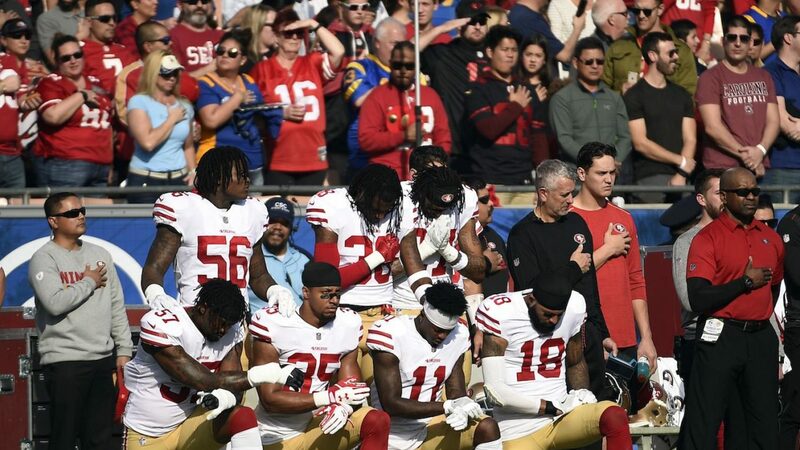 “Our national anthem is one of the methods we as American citizens have always used to show our appreciation to all military service members, past or present, alive or dead. This tradition deserves respect and unfortunately, the NFL does not feel the same way. “So, for this season, we will not be purchasing NFL ticket. Perhaps it will make a difference if it hits their wallets,” the message concluded. Cancelling Sunday Ticket will save the restaurant about $5,200, West said. West said his love for the country and frustration over the perceived disrespect of the protests led to this decision. West did say he was worried that business might be hurt by not having all the NFL games on at his restaurant, but he’s hoping the customers will take care of the staff.